Established in 1887 to mark the north entrance to Newport Harbor, Gull Rocks Light was a unique structure among New England lighthouses. Built for about $10,000 near what is now the Newport Bridge, the lighthouse was a wood A-frame dwelling with two lanterns that traveled on rails through windows at the east and west peaks of the structure. One light was fixed white, the other fixed red. A fog bell and striking apparatus were installed in 1888. The power of the lights was increased in 1900. The first keeper, Frederick Purinton (or Purington) lived on the first two floors of the building with his wife. Rainwater was collected from the roof into a cistern for the family's use. It was soon discovered that the large roof area meant that large amounts of sea salt was washed into the cistern, so the keepers learned, on rainy days, to divert the runoff until the salt was washed off the roof. Time passed relatively uneventfully for Keeper Purinton until September 26, 1894. 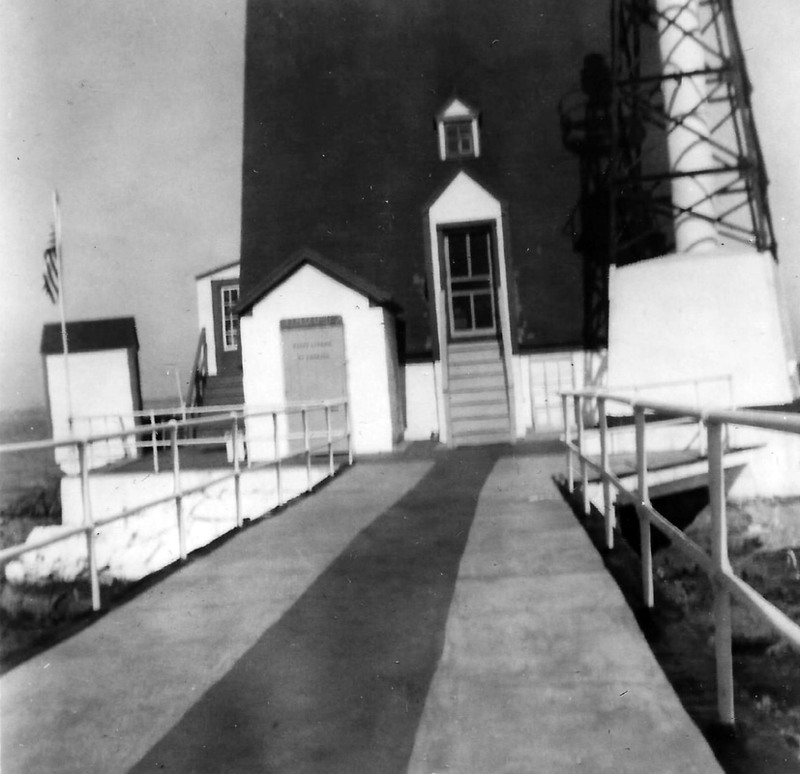 On that day, according to a story with the headline, "Lighthouse Keeper Assaulted," in the New York Times, Mrs. Purinton was upstairs when she heard her husband calling for help. Rushing downstairs, she found him "insensible and bleeding" on the floor. 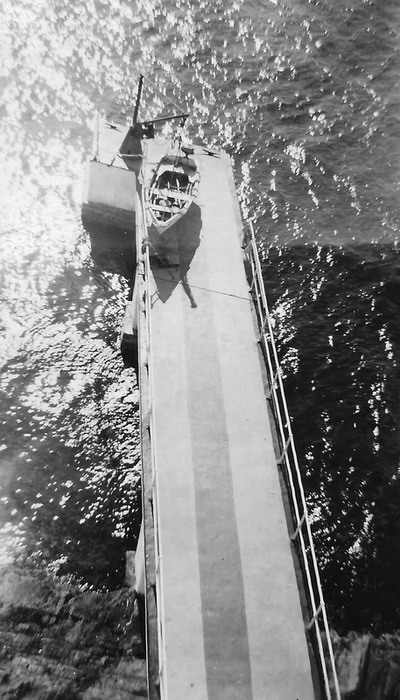 Mrs. Purinton rowed quickly to the Naval Training Station onshore, and Commander F. W. Dickens sent a man back with her to the lighthouse to help with her husband and to tend the light. The keeper was revived to consciousness and his injuries were reported as "serious but not fatal." Purinton's assailant was believed to be a local lobsterman; the two men had evidently quarreled over traps near the lighthouse. How the feud began isn't known, but it brought about the end of Purinton's stay. It isn't clear if it was due to his injuries or a desire to avoid further trouble, but Purinton left Gull Rocks about two weeks after the assault. Adolf Obman, the next keeper, stayed into the first year of the next century. 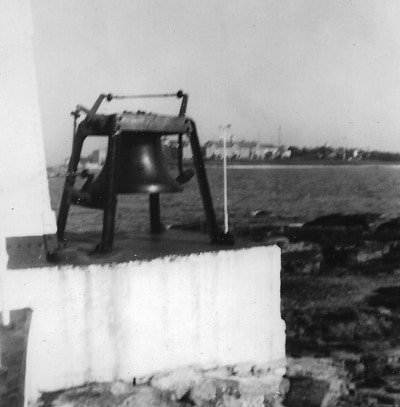 Despite the small amount of land around the Gull Rocks Lighthouse, the keepers usually kept chickens at the station. 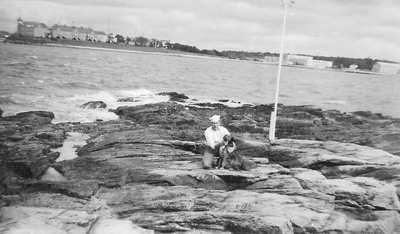 The birds would sometimes roost on the rocks, and high tides would wash their eggs to the shores of Newport to be found by puzzled residents. In 1928, a single acetylene light on a skeleton tower next to the dwelling replaced the two earlier lights. 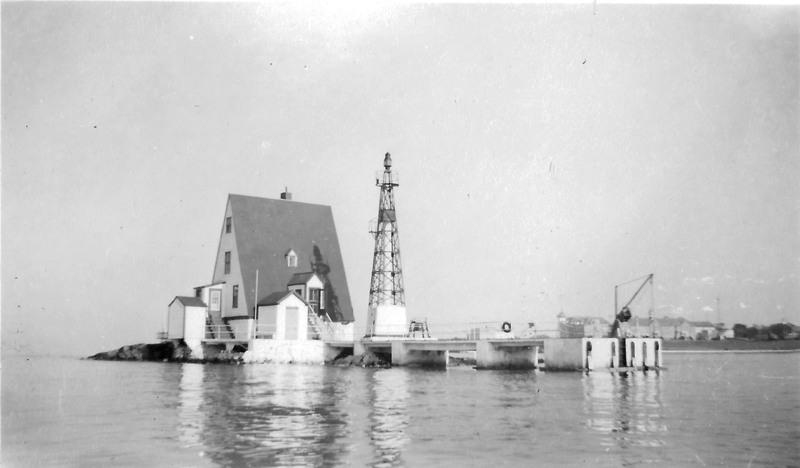 At this time the keeper at Gull Rocks was also put in charge of Newport Harbor Light at Goat Island. 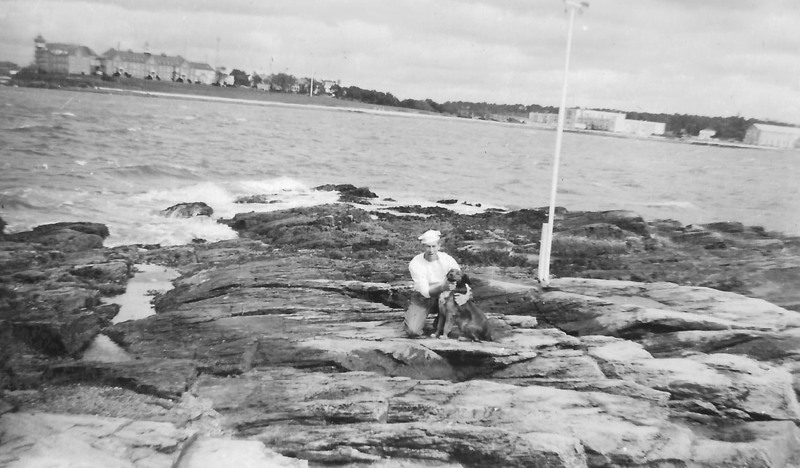 A Rhode Island woman, Jackie Reardon, remembers that as a girl she would visit friends stationed at Gull Rocks Light. Jackie and her friends would take a boat from Gull Rocks to Rose Island to visit the keeper there. Young Jackie was taught Morse code by the keeper's family at Gull Rocks. 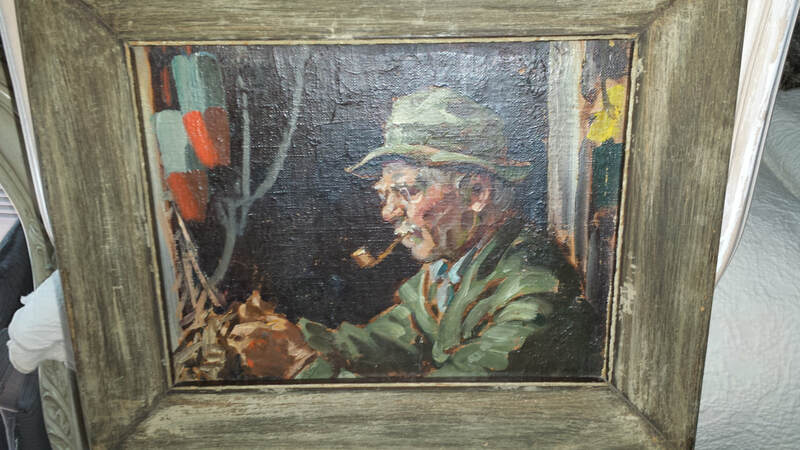 Painting of Adolf Obman, keeper 1894-1901. In the hurricane of September 21, 1938, the station's boat was washed away, along with the dwelling's stairs. The cistern was contaminated with salt water. 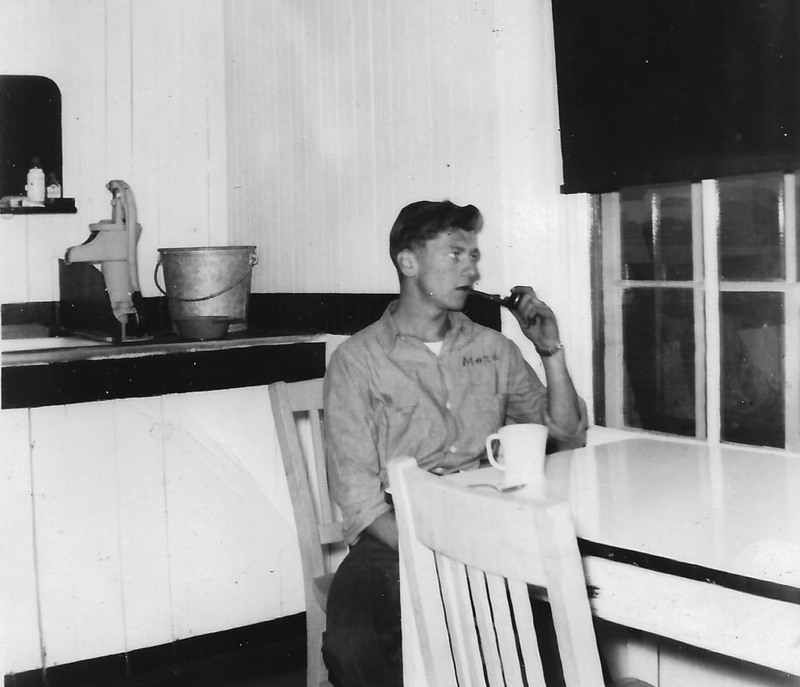 Despite the damage, keepers remained at the station until 1960 when the light was automated. Alfred J. Roy was the keeper in 1946-47, and he lived on the little island with his wife, Anita, and their infant son. Roy's daughter-in-law, Celeste Roy, recalls, "My mother-in-law would talk about it often -- how they got the water from the rain and once a week would row to town for groceries." The dwelling was destroyed in 1961. In November 1969, the light on the skeleton tower was discontinued, soon after the completion of the Newport Bridge had rendered the light useless. Only the oil house remains standing in the shadow of the Newport Bridge.